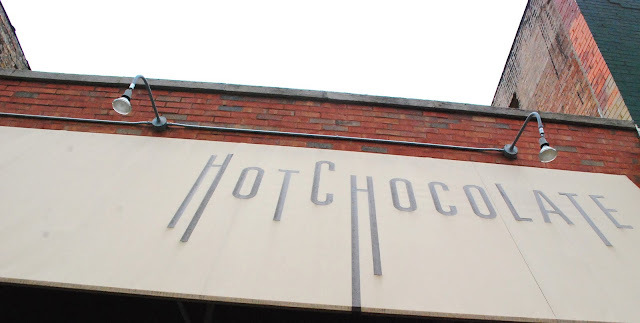 With my passion for chocolate, it’s a real surprise that Mindy Segal’s restaurant, Hot Chocolate, was not on my list before now. At 1747 North Damen, the space was nothing like I imagined. Understated...but exactly like I thought it would be because the brunch line went out the door at 10:10 AM....just 10 minutes after they opened and 5 minutes I arrived. 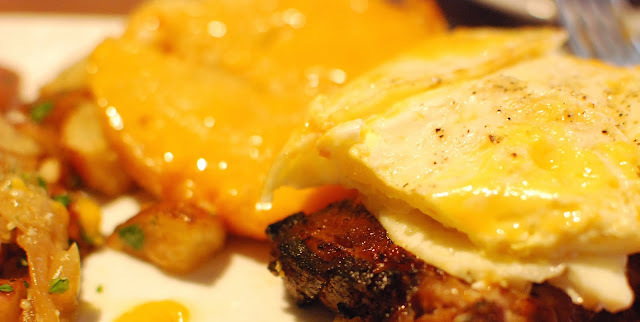 I ordered the pork belly and poached on an English muffin buried in cheese which was exceptionally good – I would order it again- but what I really loved was the hot chocolate. Most hot chocolates I’ve had until now have been nothing to write home about. 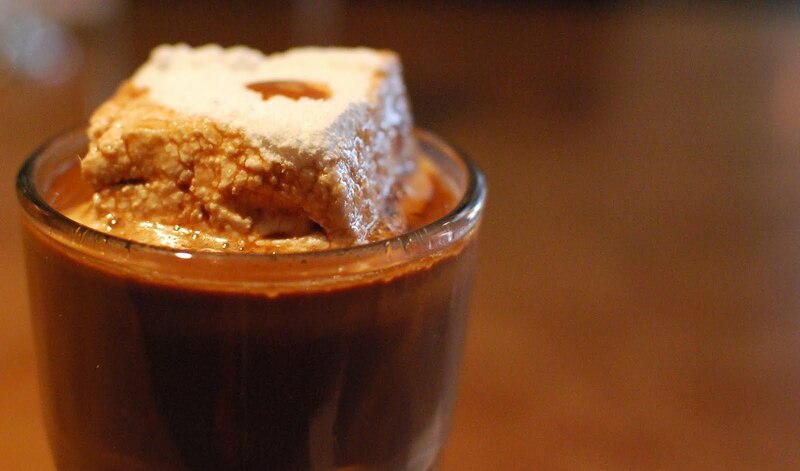 What set this hot chocolate apart was just that – real chocolate! Take the "Black and Tan," which I ordered and LOVED! A bottom layer of hot fudge covered with “real” hot chocolate that is steamed-to-order. The homemade marshmallow was the perfect topper. Honestly, this was so good that next time, I will do several tastings of the hot chocolate and skip the breakfast. 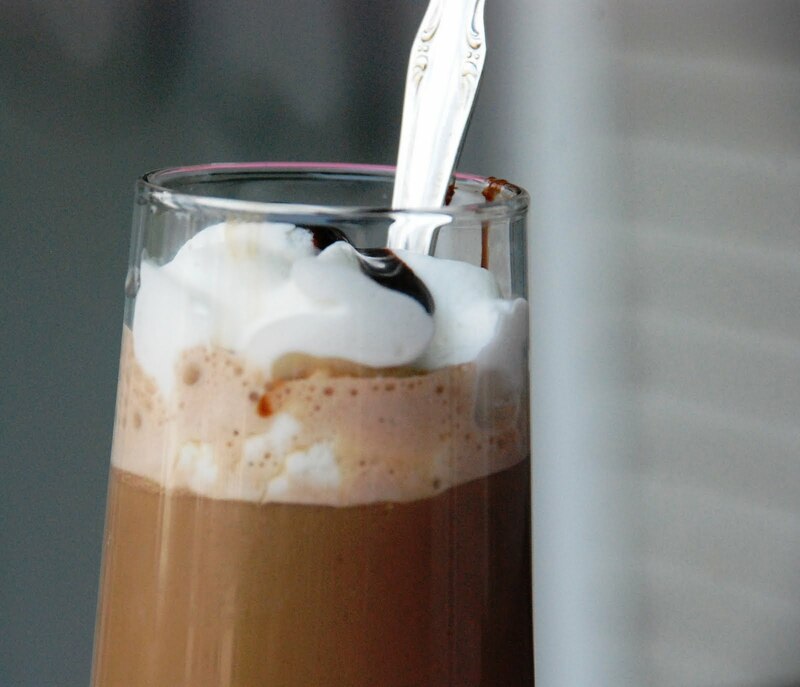 I am making my own hot chocolate recipes this weekend and will continue to try and pull off the perfect cup of Hot Chocolate! In the mean time, if you are a chocolate lover, this is THE PLACE TO GO! Use a high end chocolate for this recipe. It’s really good with the cayenne and the milk and cream mellow it out. medium heat, and cook until simmering, about 4 minutes. Serve immediately. Makes 2 drinks. If you have ever had homemade marshmallows, you’ll never buy them again! Looks complicated but very easy. In separate medium bowl with cleaned beaters beat egg whites (or reconstituted powdered whites) until they just hold stiff peaks. Beat whites and vanilla (or your choice of flavoring) into sugar mixture until just combined. Pour mixture into baking pan and don’t fret if you don’t get it all out (learning from my mess of a first round). Sift 1/4 cup confectioners’ sugar evenly over top. Chill marshmallow, uncovered, until firm, at least three hours, and up to one day.